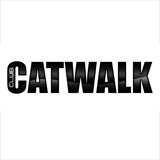 Immerse yourself in the best House, RnB, Hip Hop and Hits music in Catwalk. If you are young and looking to have lots of fun, you'll meet fashionable people, both locals and internationals in this ambient Gossip party. Come and have fun on Saturday nights at club Catwalk with YouBarcelona. Careful of the paparazzi!